What's a "long distance land lording nightmare"? How about an old step side pick up from the 50s? 1969 Dodge Charger or 1970 Plymouth Road Runner! My 1951 GMC truck ($75) was by far the best / most dependable / useful classic I have owned. Early 60's Lincoln Continental convertible, suicide doors! The more I look at well-built Mustang restomods the more impressed I am. I was born in 1967 so feel a bias for the c. 1965-68 models. The Eleanor knock-offs are in my mind by far the apex predator of the lot, GT500 either on a correct chassis or replica. I believe 1967 was the big year for those. What do you want to bet I'll own one when I'm 70, if they still allow internal combustion then. I watched a creaky old guy unfold himself from a Ferrari 458 at the track last year, so it's a function of "attitude" I figure. 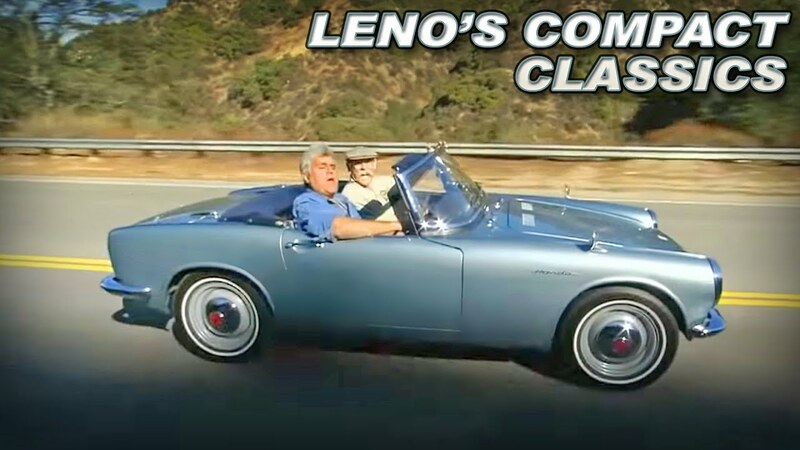 You could get into a nice Eleanor for $50K or less, used of course, with some luck though I've seldom seen them terribly much less, not that I've looked that hard. Some are magnificent coachwork and you can pay a quarter mil for correct numbers and crazy mods without much trouble, brand new, which might take a year to build too. Super Snakes, geez: same, if not more money and crazy HP usually via supercharger. Not your scene, probably. That-said, I'd take a look at the 289 replicas from that era time, too. These were great cars then and now, quite simple and definitely cool plus understated. The 289 itself, rebuilt, is a solid performer which is why they sold tons of them presumably. Not sure I'd go for anything too crazy under the hood in those, from c. 1965-1968, that sort of defeating the purpose, but it's a free country. Those that look somewhat close to stock, but maybe with cool rims and a few sneaky mods (see below) behind the coachwork are really, really cool in sunny colors. That's what they were about, in a Beach Boys or Beetles kind of era, right? Nothing wrong with a GT350 resto-mod either, of course, but yet again now we're getting into serious performance and hence more money. Let Google do the walking for ideas. Most are under $50K, though, the 289's waaay under which is the point: save some money for tinkering, yet buy a drive-away that won't cause all that much trouble. How hard can it be, it's all "right there" and the original systems weren't all that complicated. I'd probably want brake upgrades, personally, ditto some cross bracing and serious suspension so it would handle. As for the "Go Baby Go!" part under the hood, that's up to you. PS: while looking at some fine examples online, I spy for sale a black w/gold stripes, 0 mile '65 GT350 restomod "tribute car" with 331 Pro Bullet Short Block from DSS Racing. More than your budget and probably a bit "much", it's beyond gorgeous and a prime example of what might be out there...it's truly badass without being too aggressive. No one would confuse it for a little nancy Nissan Leaf, though. Late 60's / early 70's El Camino or Ranchero would tick my boxes. Muscle plus useful. Or, an International Harvester pickup, not sure what year, I'd have to review a guide - Golden age of Americana - but beware of rust. I heard somewhere that old Model "A"'s have gone down in value because the folks that remember having them as kids are dying off. Who wouldn't want to own Milner's deuce coupe from American Graffiti? Location: San Diego A.K.A "D.A.Y.G.O City"
Definitely any 50’s or 60’s Cadillac if you like true ultimate classic styling with great build quality, big size and horsepower. 60’s Continentals are great cars in all, but they are complex to work on and parts are extremely difficult to come by. I own a 64 Cadillac Deville and it’s awesome! It’s a real Caddy in every sense with the last of the fins, it has the big block 429 motor that takes off like a rocket ship! Very smooth and cushy to drive as well. The best riding car and one of the biggest ever I’ve owned is hands down my 78 Lincoln Continental. The front end goes on for miles and is very boss like. A beautiful car as well that just floats down the road in silence and total comfort. Bumps and pot holes aren’t felt hardly at all. Not really into classic European vehicles but the old 60’s and 70’s Mercedes are really really nice cars. OK I gotta say it. '55-'75? Yeah, they'll go at least 85 mph. Tired of long distance land lording nightmares. Going to sell them and treat myself to a cool old car. There are so many that I hardly know where to begin. Yep. Who needs a call in the night stating that there is no hot water. Is this going to be a daily driver or a weekend cruiser? Makes a world of difference. If a daily driver I'd expand the search to the late 80's or early 90's and get something with an airbag. All of the Cadillacs and Lincolns of the day. Buicks too. If just a weekend cruiser or parade car any of those mentioned above work. The Camaro, Firebird, Mustang (some), and Charger - all hold their value pretty good and easier to sell when you get tired of it OR want a different one - once you meet up with that crowd. A 1957 Chevrolet will always hold its value. Any of the late 50's Ford retractable hardtop convertibles works fine and hold value. Then there are companies like Road Kill Customs and Revology that have older cars with modern drivetrains and modern features.